Paul Daugherty, Accenture CTO, explores the possible impacts of artificial intelligence on the business world. Technology is a key topic at the World Economic Forum's Annual Meeting 2017. Watch the session on Artificial Intelligence here. -Prepare the next generation. Re-evaluate the type of knowledge and skills required for the future, and address the need for education and training. AI presents the opportunity to prepare an entirely new sort of skilled and trained workers that do not exist today. This training should be targeted to help those who are disproportionately affected by the coming changes in employment and incomes. -Advocate for and develop a code of ethics for AI. Ethical debates, challenging as they will be, should be supplemented by tangible standards and best practices in the development and use of intelligent machines. -Encourage AI-powered regulation. Update old laws and use AI itself to create adaptive, self-improving new ones to help close the gap between the pace of technological change and the pace of regulatory response. This will require government to think and act in new ways appropriate to the new landscape, and means more technologically-trained people must play an active role in government. 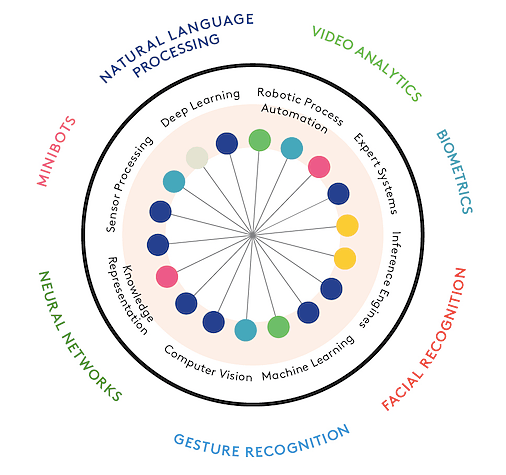 -Work to integrate human intelligence with machine intelligence.Businesses must begin reimagining business processes, and reconstructing work to take advantage of the respective strengths of people and machines.